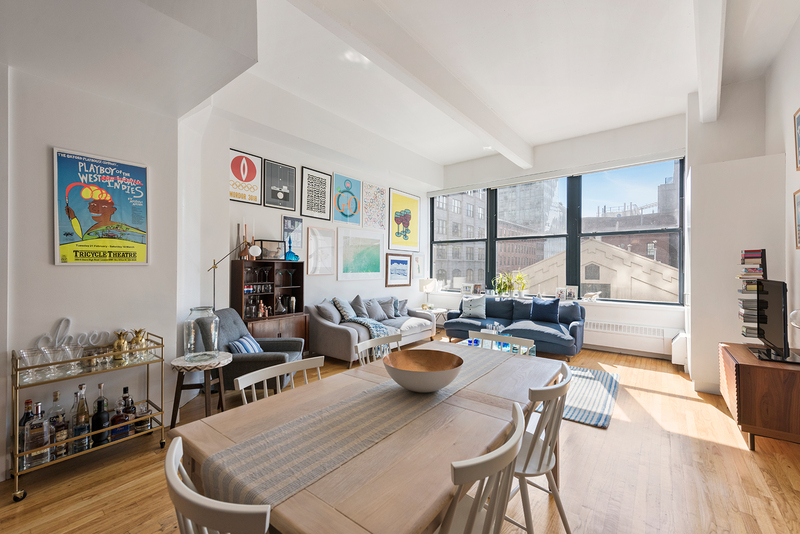 Sprawl out in this huge oversized loft at the Clock Tower Condominium in DUMBO. 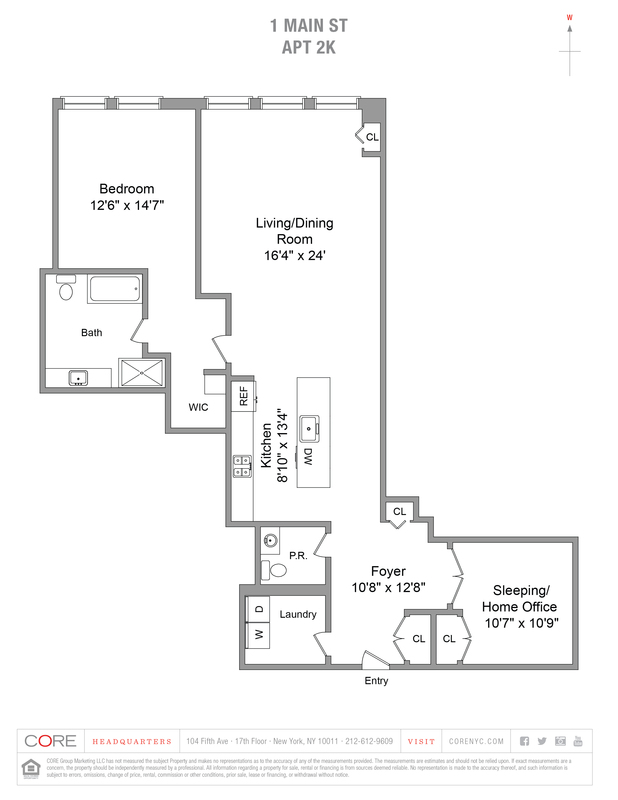 Apartment 2K is a 1,414-square-foot, one-bedroom plus additional sleeping/home office, one-and-a-half-bath. Enter through the entry foyer into the large open floor plan with an eat-in kitchen that has an island which seats six, and an open living/dining space. One of the first things you notice are the 13-foot ceilings. The living room faces west overlooking the Empire Lofts and has a peek-a-boo view of the East River and Main Street Park. The master suite features a 12.5 by 15-foot bedroom, with a five-piece en-suite master bath and a large walk-in closet. A smaller second sleeping/ home office is completely separate. The apartment boasts hardwood floors throughout, a stainless steel kitchen, central air and heat, and a huge storage/utility room with a washer/dryer.